Ironically, the philosophy of love has long been neglected by philosophers, so-called "lovers of wisdom," who would seemingly need to understand how one best becomes a lover. 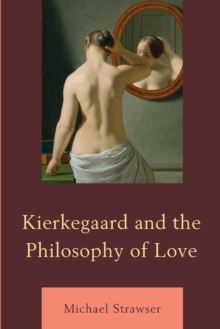 In Kierkegaard and the Philosophy of Love, Michael Strawser shows that the philosophy of love lies at the heart of Kierkegaard's writings, as he argues that the central issue of Kierkegaard's authorship can and should be understood more broadly as the task of becoming a lover. Strawser starts by identifying the questions (How should I love the other? Is self-love possible? How can I love God?) and themes (love's immediacy, intentionality, unity, and eternity) that are central to the philosophy of love, and he develops a rich context that includes analyses of the conceptions of love found in Plato, Spinoza, and Hegel, as well as prominent contemporary thinkers. 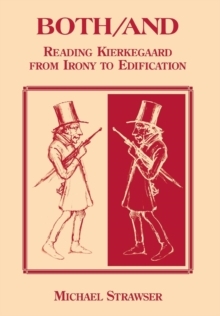 Strawser provides an original and wide-ranging analysis of Kierkegaard's writings-from the early The Concept of Irony and Edifying Discourses to the late The Moment, while maintaining the prominence of Works of Love- to demonstrate how Kierkegaard's writings on love are relevant to the emerging study of the philosophy of love today. 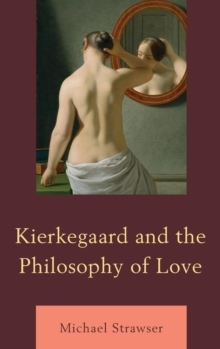 The most unique perspective of this work, however, is Strawser's argument that Kierkegaard's writings on love are most fruitfully understood within the context of a phenomenology of love. 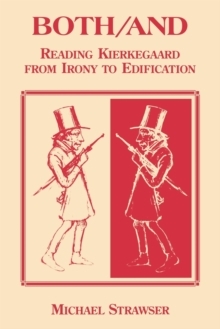 In interpreting Kierkegaard as a phenomenologist of love, Strawser claims that it is not Husserl and Heidegger that we should look to for a connection in the first instance, but rather Max Scheler, Dietrich von Hildebrand, Emmanuel Levinas, and most importantly, Jean-Luc Marion, who for the most part center their thinking on the phenomenological nature of love. 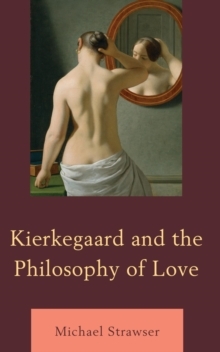 Based on an analysis of the works of these thinkers together with Kierkegaard's writings, Strawser argues that Kierkegaard presents readers with a first phenomenology of love, a point of view that serves as a unifying perspective throughout this work while also pointing to areas for future scholarship. Overall, this work brings seemingly divergent perspectives into a unity brought about through a focus on love-which is, after all, a unifying force.